The A3 is proof that great things can come in small sizes, in this case a compact hatchback that's refined inside and out. One of the A3's best features is under the hood, in the form of a spunky turbocharged 4-cylinder or a potent diesel engine that attains up to 42 mpg. Audi a3, 2012. Powerful but a little cramped. Good for urban singles or couples. The Audi has been reliable with proper maintenance. I wish it was roomier. It was not designed to accommodate car seats and booster seats. Climate control has been adequate. I've had trouble syncing my Bluetooth devices. But overall I love that such a small vehicle has a lot of power and speed. I feel that a custom color on cars really gives the car an extra bit of flare. I enjoy driving my car, it is fun and handles well. It is comfortable to drive as well as sit in the passenger seat which is very important. Repair costs can be stressful after the warranty period is up. I got my a3 with a custom color send she stands out she's looks quite remarkable! The custom ordered green looks phenomenal!! The a3 is a great car. It is fun to drive, handles very well, and looks great. 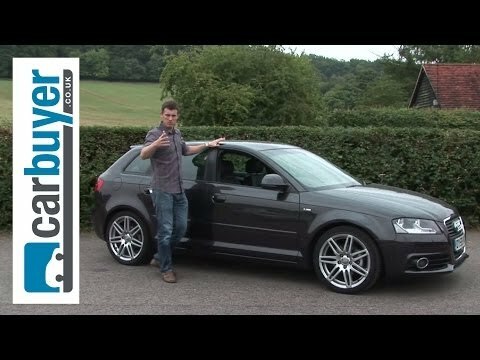 I haven't had any problems with the a3 in the past 6 years. I would recommend taking this car for a test drive and seeing how it feels! The only way to know for sure is to get behind the wheel and drive.